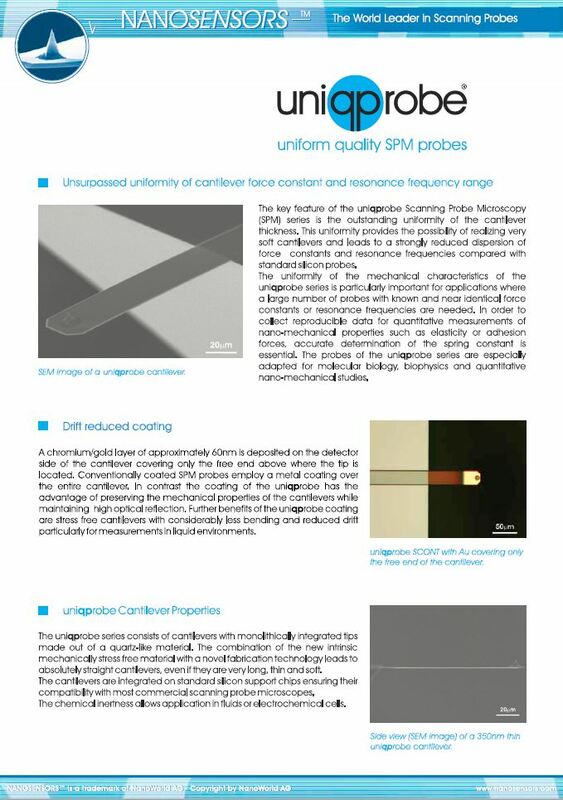 NANOSENSORS Special Development List has been updated with completely new items: Tipless cantilevers arrays (qp-TL8) based on uniqprobe – uniform quality probe – technology. Similar to the uniqprobe cantilevers (i.e. 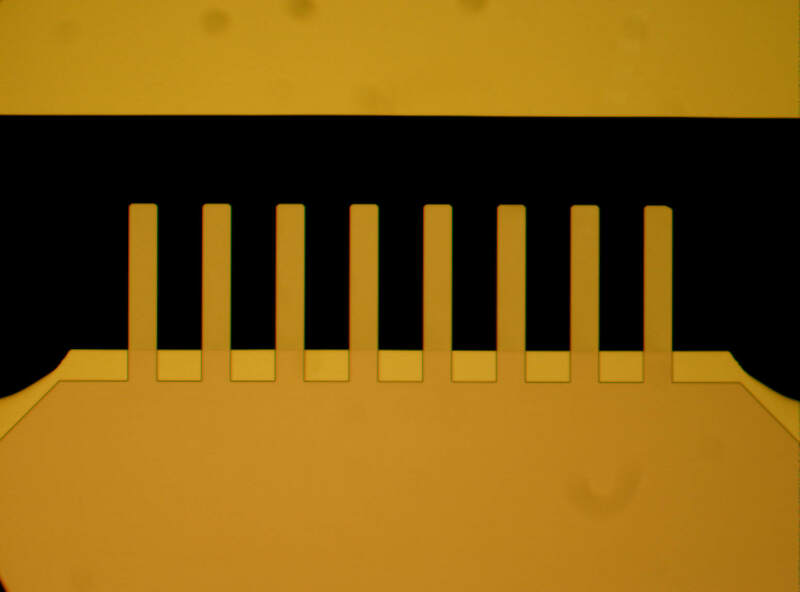 qp-CONT), the cantilevers of these new arrays show an outstanding uniformity of their thicknesses leading to a strongly reduced dispersion of force constants and resonance frequenices compared with standard silicon cantilever arrays.